Health Minister Nguyen Thi Kim Tien held a meeting about coordinating private and public hospitals in Thanh Do Hospital (City International Hospital) in Ho Chi Minh City on March 10. The collaboration aims to reduce pressure in overcrowded public hospitals in order to raise treatment quality. The number of private facilities has increased 400 percent in the country in the past 10 years, according to the Department of Medical Examination and Treatment. It currently has 170 private facilities accounting for 11 percent of the total facilities in the city. The number of people seeking medical treatment in private hospitals remains low with 7 percent outpatients and 6 percent inpatients. Cho Ray Hospital coordinated with 14 private hospitals to provide skilled physicians for private facilities, transfer stable patients and send samples for testing. Medicine University Hospital and Hoang Anh Gia Lai Hospital in Gia Lai Province coordinated to build a new hospital that treats 150,000 people a year. Without this hospital, about 30 percent of the province’s patients would have to go to HCMC for treatment. 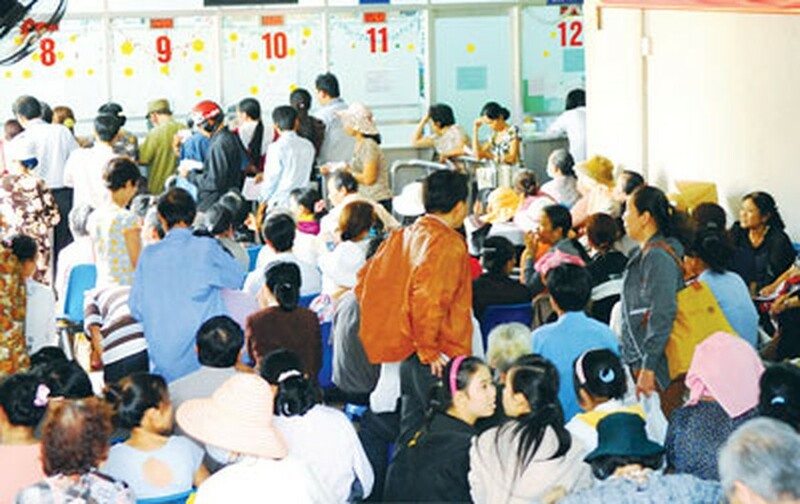 The hospital spends VND 10 billion for transportation of patients, said Minister Tien. The coordination between public and private facilities is necessary to maximize human resource, brand names, and spacious private facilities.